All Vinyl is warrantied for the life of the product against cracking, crazing and discoloration. All vinyl will lose its gloss over time. This is normal and is a property of vinyl at the molecular level. All hardware and any moving parts including window balances carry a 20 year Non-Prorated warranty against failure of any kind including casement and awning window hardware. Storm door handles and closers and warrantied for five (5) years against corrosion and breakage except under coastal conditions. All aluminum products painted electrostatically are warrantied for Twenty Five (25) years against paint crazing and/or peeling** .Storm doors other than white use low VOC water based paint. This paint is has a warranty of Five (5) years. 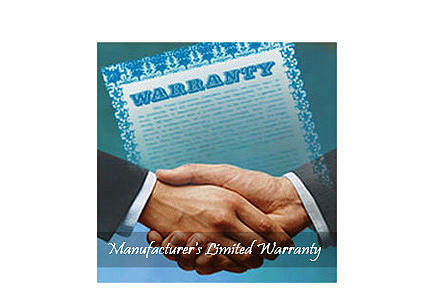 Of course, all warranties are subject to evaluation for misuse or damage to the product. Consult the warranty included with every vinyl window and storm door. Contact our office for more details. ** Storm Doors and Storm Windows installed in coastal areas: paint is warrantied for Four (4) Years. Storm door designs using stainless steel pressed kickpanels are NOT recommended for coastal use and will not be warrantied against rusting..
Labor is not included for any warranty repairs. 1: These Warranties change to ten (10) years after date of original purchase to a non-original purchaser. Certificate of transfer must be completed and transfer fee paid and filed with Bonded for warranty to be granted.